We only sell CE (and FDA Approved Tests, and the sensitivity will always be marked on each packet you buy, so please make sure that you get what you are paying for. Some sellers claim that their tests are Ultra Sensitive, when often they are no better than the tests you can buy in your local high street or chemist..
We can guarantee that you will be delighted with your purchase, which will be sent to you quickly and discretely. Our tests are carefully sourced, and packed with care so that you can test in the comfort of your own home. We are committed to your satisfaction. One Step LH Urine Ovulation Test Strips can help you detect the time when you are most fertile and most likely to become pregnant. Luteinizing hormone (more commonly known as LH) increases dramatically just before a woman’s most fertile days of the month. This process, known as an “LH Surge”, triggers ovulation. A woman’s egg can only be fertilized 6 to 24 hours after ovulation and One Step LH Urine Ovulation Test Strips can be a very valuable tool in determining when is the best time to try and conceive. 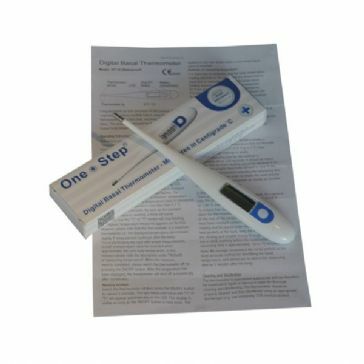 One Step LH Urine Ovulation Tests are quick and easy to use. They are extremely accurate in detecting LH. They have a 99.5% accuracy. 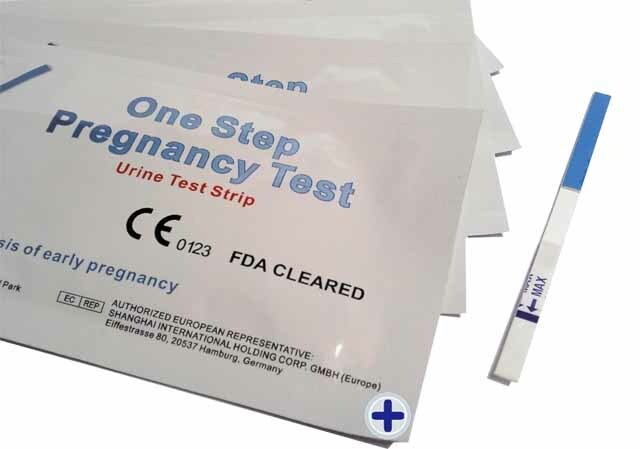 Each One Step LH Urine Ovulation Test Strip is individually sealed in a foil pouch. So how can I decide which sensitivity to choose ? If you have regular cycles and have no known problems the we recommend you start with the normal sensitivity (30mIU/ml). If you purchase this item we will send you 30mIU Ovulation Tests. We also sell 20mIU/High Sensitivity Ovulation Tests in our shop. 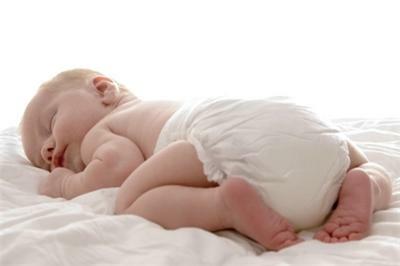 When is the best time to conceive a child ? Ovulation is the release of an egg from the ovary. The egg then passes into the fallopian tube where it is ready to be fertilised. In order for pregnancy to occur, the egg must be fertilised by sperm within 48 hours of it's release. Immediately prior to ovulation, the body produces a large amount of Luteinizing Hormone (LH) that triggers the release of a ripened egg from the ovary. This "LH surge" usually takes place in the middle of the menstrual cycle. The Ovulation test detects the LH surge that ultimately predicts Ovulation. Knowing when you are ovulating is very important, because there is normally a 24-48 hour window of opportunity to fertilise the Ovum. In laboratory trials these tests have proved highly accurate at more than 99.9% in detecting a LH surge in urine samples. These Ovulation tests are perfect if you have erratic cycles, or are looking to achieve pregnancy quickly. Pinpoint the right time accurately with these easy to use tests. When should I test for Ovulation ? Determine the length of your menstrual cycle over the last few months. Use the chart to work out the day you should begin testing. The day you begin testing is listed opposite the number of days in your normal cycle. 1. Select a well-lit room with a clean surface for performing and/or interpreting the ovulation test strip. Use a dry, clean container to collect a small sample of urine. Note: Use the ovulation test strips once a day at about the same time - between 10:00AM and 8.00PM. Do not use first morning samples as LH is sythesized in the body early in the morning. It will not show up until later in the day. The best time to test is between 10AM and 8PM. Be sure to test at the same time each day. Also, reduce your liquid intake around 2 hours before testing urine as a diluted liquid sample can prevent LH detection. 2. Remove the test strip from its foil pouch. 3. To perform the test, just dip the test strip in a urine sample. Hold it for at least 10 seconds, so that adequate urine is absorbed. 4. Place the test strip on a flat dry surface, result side facing up. You should see a rose-pink colour moving across the test strips as the test begins to work. 5. In 3 to 5 minutes, a rose-pink colour band (control band) will appear to show that the test is complete. Interpret the results as shown below. For best results tests should be interpreted at 5 minutes. Do not read test results after the initial 5 minute interval. One Step 10mIU/ml Pregnancy Tests are the most sensitive available on the market, and can detect a pregnancy seven days after conception, so you can test before your period is due. Most shop tests are 25 mIU/ml so you are getting a much higher sensitivity for the fraction of the price. A pregnancy test detects the presence of HCG (Human Chorlonic Gonadotrophin) in your urine. HCG is produced shortly after the embryo attaches itself to the uterine lining. Day by day the amount of HCG will increase. We recommend that you test first thing in the morning, and that you do not drink lots of fluid beforehand as this could dilute the urine sample, and make the HCG more difficult to detect. Just dip the test into your urine sample for 10 seconds. Lay the test flat and wait for the coloured bands to appear. A positive result can normally be observed within 40 seconds, and the final result in under 5 minutes. If the second line is fainter, then this still indicates a positive result. If you are testing early this will darken over time, as the HCG builds up in the body.